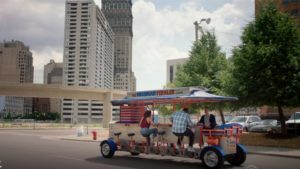 Tim and Sam ride The Michigan Pedaler on an episode of the Comedy Central show Detroiters. 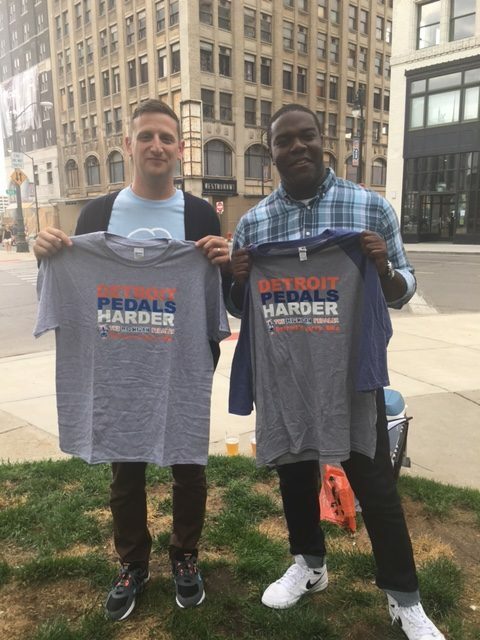 We received a lot of great feedback regarding our cameo appearance on the March 14th episode of Detroiters. Sam made a trip without Tim knowing it on the Pedaler with a new company in their building. This caused a rift in the best friends’ friendship. Then, their four-person office had a company “outing” on the bike that dwindled while Sam and Tim had a heart-to-heart. Sounds pretty deep? Oh… we forgot to mention that there are a ton of poop jokes throughout. The Detroit Free Press called it “the best episode yet,” of the young Comedy Central Series. We tend to agree! 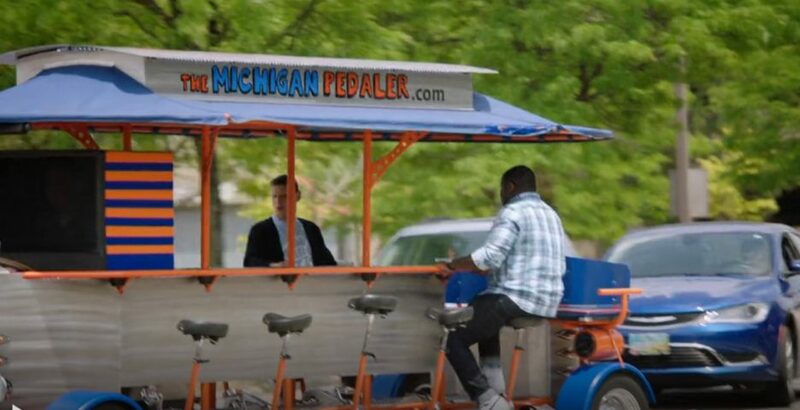 Riding The Michigan Pedaler with friends tends to turn good times into great. And you never know what might happen! In case you missed it, you can watch the episode by clicking here. The series stars Detroit native Sam Richardson and Clarkston suburbanite Tim Robinson. Bookies second floor VIP room is one option available for Michigan Pedaler riders to use before their ride. 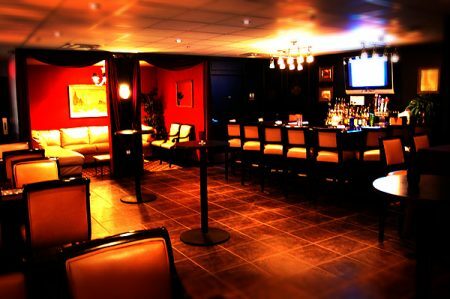 They also offer a rooftop patio deck, a first and third floor bar area and plenty of large tables for your group to congregate.